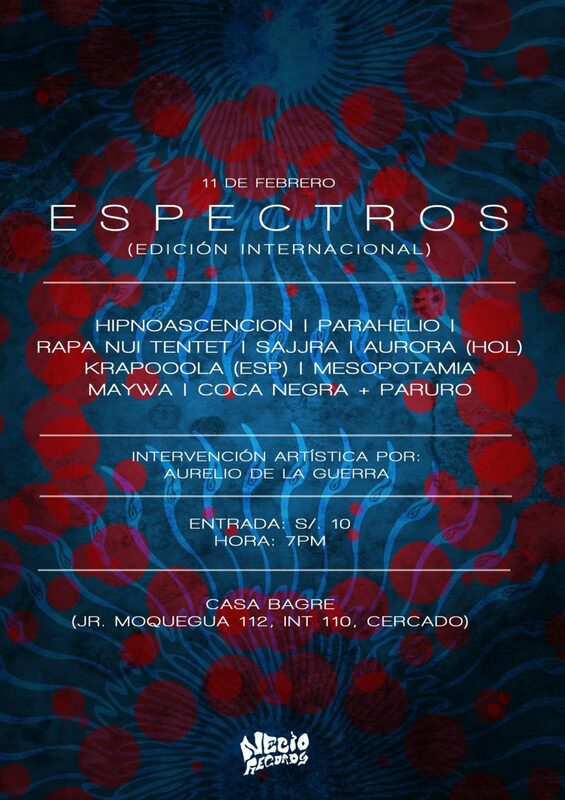 Performance during the event CIRCUITO UNDERCAOS: ESPECTROS, at CASA BAGRE, Jr. Moquegua 112 Int. 110, Cercado de Lima., 1 Lima, Peru. FB link. Entrance: s/.10. Start at 19h. 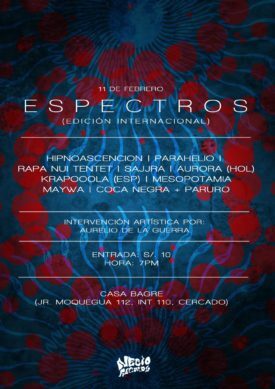 Curated by Necio Records. Press releases in Altavoz, Peru21 and Reporteros Infiltra. As part of Janneke van der Putten’s Artist-in-Residency at Aloardi (Aristas-in-Resistance Aloardi).